The “sharing economy” invokes vague leftist sentiments while moving towards more precarious employment. A new wave of technology companies claims to be expanding the possibilities of sharing and collaboration, and is clashing with established industries such as hospitality and transit. These companies make up what is being called the “sharing economy”: they provide web sites and applications through which individual residents or drivers can offer to “share” their apartment or car with a guest, for a price. The industries they threaten have long been subject to city-level consumer protection and zoning regulations, but sharing economy advocates claim that these rules are rendered obsolete by the Internet. Battle lines are being drawn between the new companies and city governments. Where’s a good leftist to stand in all of this? To figure this out, we need to look at the nature of the sharing economy. Some would say it fits squarely into an ideology of unregulated free markets, as described recently by David Golumbia here in Jacobin . Others note that the people involved in American technology industries lean liberal. There’s also a clear Euro/American split in the sharing economy: while the Americans are entrepreneurial and commercial in the way they drive the initiative, the Europeans focus more on the civic, the collaborative, and the non-commercial. The sharing economy invokes values familiar to many on the Left: decentralization, sustainability, community-level connectedness, and opposition to hierarchical and rigid regulatory regimes, seen mostly clearly in the movement’s bible What’s Mine is Yours: The Rise of Collaborative Consumption by Rachel Botsman and Roo Rogers. It’s the language of co-operatives and of civic groups. There’s a definite green slant to the movement, too: ideas of “sharing rather than owning” make appeals to sustainability, and the language of sharing also appeals to anti-consumerist sentiments popular on the Left: property and consumption do not make us happy, and we should put aside the pursuit of possessions in favour of connections and experiences. All of which leads us to ideas of community: the sharing economy invokes images of neighbourhoods, villages, and “human-scale” interactions. Instead of buying from a mega-store, we get to share with neighbours. These ideals have been around for centuries, but the Internet has given them a new slant. An influential line of thought emphasizes that the web lowers the “transaction costs” of group formation and collaboration. The key text is Yochai Benkler’s 2006 book The Wealth of Networks , which argues that the Internet brings with it an alternative style of economic production: networked rather than managed, self-organized rather than ordered. It’s a language associated strongly with both the Left (who see it as an alternative to monopoly capital), and the free-market libertarian right (who see it as an alternative to the state). Clay Shirky’s 2008 book Here Comes Everybody popularized the ideas further, and in 2012 Steven Johnson announced the appearance of the “Peer Progressive” in his book Future Perfect . The idea of internet-enabled collaboration in the “real” world is a next step from online collaboration in the form of open source software, open government data, and Wikipedia, and the sharing economy is its manifestation. As with all things technological, there’s an additional angle: the involvement of capital. While a wide variety of sites and companies now exist that consider themselves part of this economy, three industries lead the way: living space (Airbnb), transport (taxi alternatives Uber and Lyft and, in Europe, Blablacar), and casual work (TaskRabbit, Homejoy). Airbnb and Uber have each raised over $300 million in investments, Lyft over $80 million. All the big players are technology companies based in the venture capital-rich Bay area. The sector is growing astonishingly quickly with new investments every week, including such seemingly odd choices such as Google Ventures investing in taxi services (Uber) and housecleaning services (Homejoy). The sharing economy is not a static object. If we want to understand its politics, we must look at the individual industries and companies within it. Such examinations clearly show that the entrepreneurial wing of this movement dominates more community-minded initiatives. This tension has led to rapidly changing business models, leaving the original ideas of community-based sharing farther and farther behind as sharing economy models have become attractive to large enterprises. Take ridesharing. Europe’s Blablacar has stayed close to the idea of becoming the digital equivalent of the venerable student bulletin board, and provides a matching service for carpooling. The story in the US is different, however. Industry pioneer Zipcar was bought by Avis Budget Group. Ridesharing company Lyft started with an offering called Zimride, which was modelled on carpooling, but that business was sold to Enterprise Rent-A-Car in July 2013. Lyft moved instead to offer something closer to an alternative taxi: they kept the language of sharing in the company slogan “Your friend with a car,” but Lyft is now clearly positioned as a source of income for its drivers, who increasingly look like employees who have to supply their own cars. Uber started off as tech-driven limo service, but has moved into the “sharing” space to cut prices. Both Uber and Lyft have adopted controversial tactics like “surge pricing,” in which the price of a ride rises in busy times or during bad weather conditions in order to attract more drivers on the road, a move that places market incentives at the center of their business model. 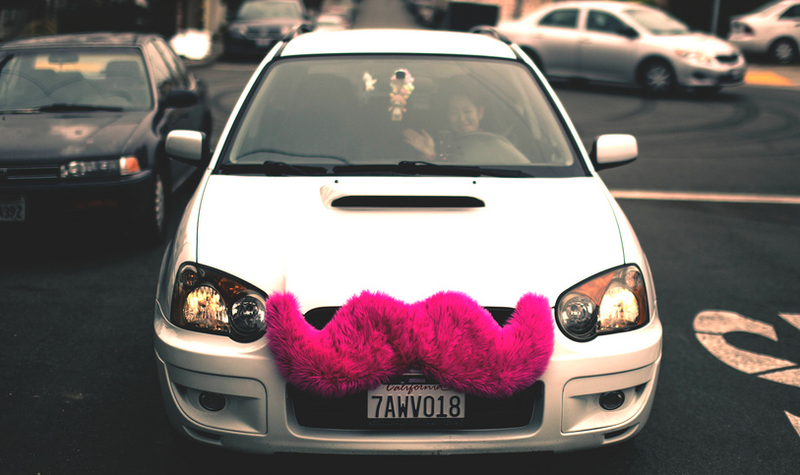 While Lyft originally called its fares “donations,” it has now abandoned the pretense. Over the course of two years, all elements of “sharing” have been effectively purged from these new transport companies. Running errands is another major sector of the sharing economy, building on the sharing idea of “helping out your neighbors.” Assembling Ikea furniture is the most common chore for industry leader TaskRabbit, but despite raising over $30 million, the company has had its problems and has put more emphasis on its “TaskRabbit for Business” initiative. In short, it’s becoming a glorified temp agency, sliding rapidly from neighborliness to the most precarious of casual labour. The Google-funded house cleaning service Homejoy is a partner of Peers, but its cleaners are, according to Forbes , people who need to show proof of employment to receive government assistance, recruited through municipal employment services. Meanwhile delivery giant DHL has launched its MyWays delivery service, powered by “people who want to deliver parcels and earn some extra money.” TaskRabbit and others call their workers “micro-entrepreneurs,” but that is a poor description of precarious piecework. The preferred phrasing of “extra money” harks back to women’s jobs of forty years ago. And like those jobs, they don’t come with things like insurance protection, job security, benefits — none of that old economy stuff. Leading the sharing economy pack is the hospitality industry: specifically Airbnb, which is facing off against Attorney General Eric Schneiderman and Democratic Senator Liz Krueger in what travel magazine Skift calls “the defining fight of the sharing economy . . . However New York City’s regulations shake out in this high-profile case, so will the rest of the nation and possibly the world over, at least in large cities.” The fight is important for Airbnb investors, too: the long-term valuation of the company depends on it establishing a business model that is accepted as legal in cities where it operates. Many of Airbnb’s “hosts” are violating New York’s short-term rental laws or their own tenancy or co-op agreements, or both. In early skirmishes, individual hosts were taken to court, but after talks broke down, the Attorney General demanded a list of all 15,000 Airbnb hosts in the city. The company accused the Attorney General of a “fishing expedition.” The Electronic Frontier Foundation and the Internet Association (“representing the leading internet companies”) have stepped in on the side of Airbnb, pledging to “fight this tooth and nail.” Sharing economy group Peers has collected over 200,000 signatures on a petition to “save sharing in New York,” and Airbnb has released studies and produced videos to fight the suits. The end of the dispute is not in sight. This is being economical with the truth. Information I collected from over 22,000 New York listing pages on the Airbnb web site (the bulk of their listings) paints a different picture. In October I scraped the Airbnb web site in order to evaluate Airbnb’s business. I estimate that almost half of Airbnb’s New York revenue comes from people with multiple listings, and almost three quarters of Airbnb’s business comes from whole-home rentals, where the host is absent during the rental period. Reputation systems are like the recommendation systems used by Netflix and Amazon, but instead of rating movies and books, participants rate each other, often using a familiar five-star system. But are these systems effective? A basic requirement for effectiveness is that these systems discriminate among the users of the system, so we can identify more- and less-trustworthy individuals. Individual ratings of Netflix movies are spread relatively evenly from one star to five stars, and so provide some grounds for discrimination. But I collected a sample of over 400,000 ratings from the BlaBlacar web site and forty-nine out of every fifty ratings are the full five stars. In a sample of 35,000 listings on Airbnb, from cities in North America and Europe: over 91 percent of listings are rated at 4.5 stars or a perfect 5. At the most basic level, these systems are failing to distinguish among the users of the system. The reasons are complex — a partial explanation for the uniformly high ratings is the danger of reputation-damaging retaliation and the human wish to avoid disagreeable disputes — but the failure to discriminate is clear. The failure is particularly important because a few bad experiences can have severe consequences: many of those old-style regulations were instituted in response to a few bad apples who threatened to ruin a whole industry. Sharing economy companies talk a lot about reputation, but their actions show that their trust in decentralized, community-driven reputation is waning. Leading sharing economy companies are moving rapidly away from peer-to-peer reputation to centralized systems such as validation and background checks. Airbnb is typical. It recently hired a fifty person “trust and safety team” headed by a former US Army intelligence office and a former government investigator. The use of a human team clearly doesn’t scale, so Airbnb is now turning to centralized analysis to solve its problems, saying, “We want to apply data to every decision. We want to be a very data-driven company.” On April 30, 2013, asserting that “trust is the key to our community,” Airbnb introduced a “Verified ID program” which demands that you provide government-verified identification and permit the company to analyze your social networking presence or provide it with a video profile. We’ll be introducing nine minimum standards around what we expect an Airbnb experience to be, whether it’s related to cleanliness or the basic amenities you expect, which is not currently the case. The idea that we create some amenities that you should expect — clean towels, clean sheets — that’s important. In short, Airbnb is abandoning the idea that peer-to-peer reputation systems can solve the problem of trust, is moving away from the casual “air bed” mentality that gave it its name, and is resorting to traditional centralized systems of enforced minimum standards, documentary verification, and so on. While the “sharing economy” is being pulled ever farther from actual sharing, it might not be a completely lost cause. These ventures could take actions that might help to restore some semblance of credibility to the “sharing economy” name. Ridesharing companies could limit income to remove insurance liability and taxation issues. For example, BlaBlaCar limits the money that any driver can earn on one ride so that it never exceeds the cost of the trip: this means the money is costsharing and not income, and so removes taxation issues and insurance clauses that forbid commercial use of a car. At the very least, Airbnb can make the rules clear for their hosts, many of whom are confused about who qualify as “amazing people with kind hearts” and who are “unscrupulous slumlords [making] a quick buck.” They could also stop burying cautions in a 10,000-word terms-of-service contract that takes half an hour to read, carefully limiting the company’s liability. Finally, there is the petition-organizing, council-lobbying group Peers. Until now, its efforts have all been in support of the VC-funded heavyweights: Airbnb and the new transit corporations. As sharing economy companies move away from sharing to a new model of piecework they need to re-investigate their own principles. A good start might be to provide a set of principles that “sharing economy” organizations would have to adopt to partner with the organization — something like the co-operative movements Rochdale Principles, few of which are compatible with the privately-owned, centralized sites that characterize the industry. The chances of the adoption of any of these recommendations are slim. Taking a modest supporting role in reviving the supposed spirit of the sharing economy is incompatible with the hubris of leading large companies, and most of these suggestions would compromise the revenue growth that investors are looking for. Tom Slee's newest book, What’s Yours is Mine: Against the Sharing Economy dives deep into Uber, Airbnb, and the "sharing economy" they promote.